Consult this checklist the night before the ROM ceremony, or when you’re packing your things. If your ceremony’s legally-binding, don’t forget any documents that will help prove who you are to the solemniser. If your solemnisation ceremony is held outside of the ROM, you will receive documents from ROM. Remember to bring them to your solemnization venue on the actual day. If either you or your spouse-to-be are foreigners, current or former work permit holders, you'll also need to get approval from the Ministry of Manpower before marriage. 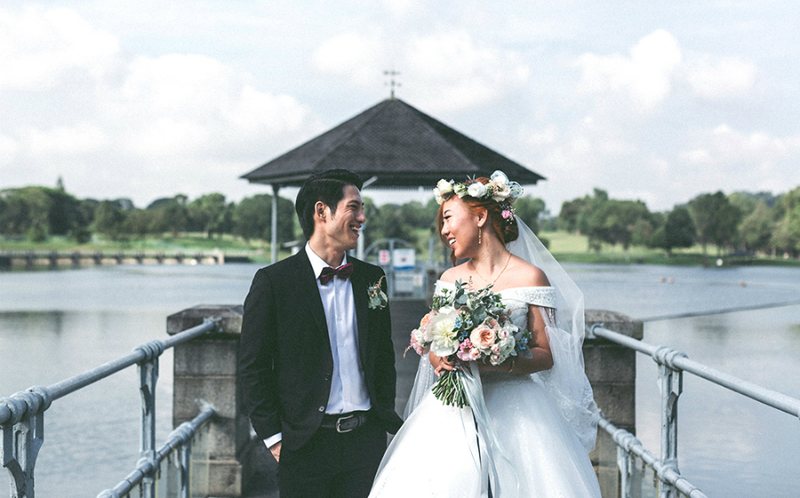 You will also have to check with the Immigration and Checkpoints Authority (ICA) for the eligibility to stay in Singapore after marriage. You don’t want to be scrambling to find a pair of stand-in rings for the ceremony. It probably won’t have the same ring (pun unintended) to it if you borrow someone else’s bands, and wear yours after. While you're at it, don't forget the ring pillow too! In Singapore, your solemniser can reserve the right not to marry you if he or she thinks you’re not dressed appropriately for it. That said, after months of looking for the perfect dress and suit, it’d be a waste not to wear it on the day of, right? According to the ROM website, proper attire includes "shirt and pants or other formal male attire for the bridegroom, and a dress or other formal female attire for the bride. You should also not be dressed in an indecent or unsuitable manner." If you’re writing your own, don’t forget to bring them (unless you’ve got an eidectic memory and can remember what you wrote, or unless you’re writing them just minutes before the ceremony). You really should be getting these delivered or set up at the venue. But if not, don’t forget things like your bouquet, centrepieces, guestbook, pens, as well as other things like balloons, photo frames, and so on. It’s good form to offer a token sum as a gift to your solemniser to thank him or her for the help, and to pay for his or her transportation costs, parking and so on. See also: how much angpow you should be giving to your helpers and vendors. 6 bridal boutiques with luxe gowns!